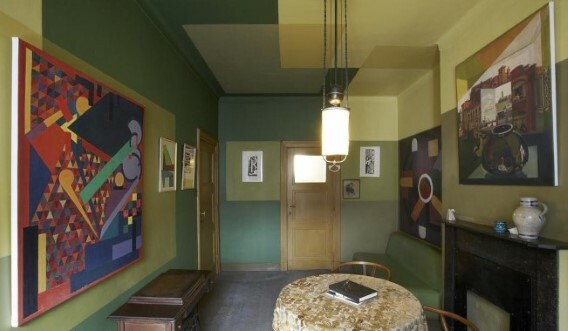 Today I am feeling completely inspired by Jozef Peeter's apartment. I should be visiting Antwerp at the end of the year so will make sure visiting is at the top of my to do list. The following photos were procured from Tonic design, tijd, mutualart & Mieke Willems. There are a huge selection of images over on waltersaenen , you just need to see past the watermarks. 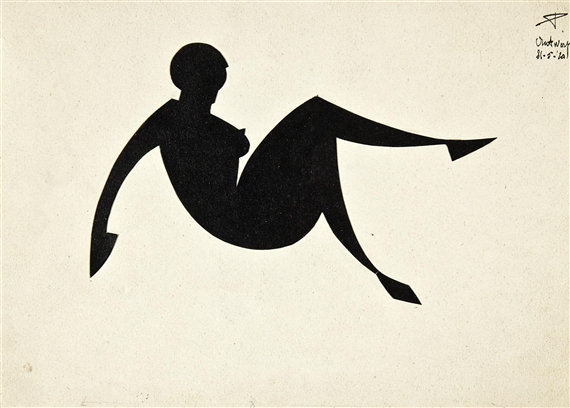 Jozef Peeters (1895-1960) was one of the first abstract artists in Belgium. He lived in a four-room corner flat on De Gerlachekaai in Antwerp with his wife and two children. Although the façade of the building was given a contemporary revamp in the 1990s, in Peeters' studio flat it is as if time has stood still. Which is fortunate, because in the 1920 he turned it into an impressive three-dimensional painting. Jozef Peeters devoted a huge amount of time and study to the design and execution of this interior. 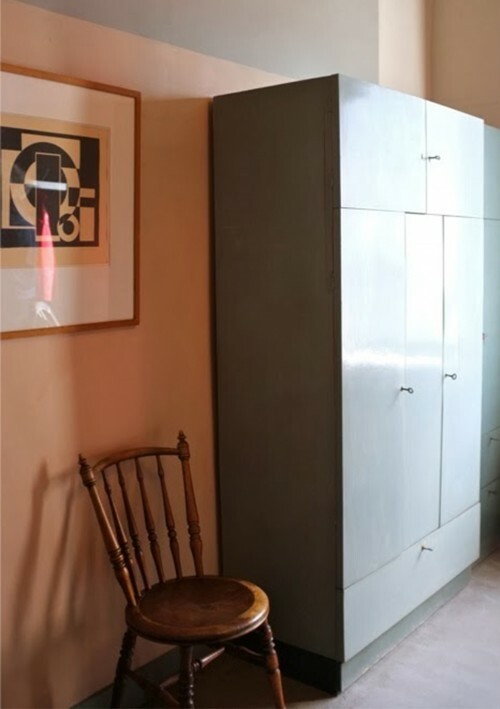 In a short article in Bouwkunde magazine in 1924, he wrote: "Symmetry has to be avoided and asymmetry applied in a way that does not appear chaotic". 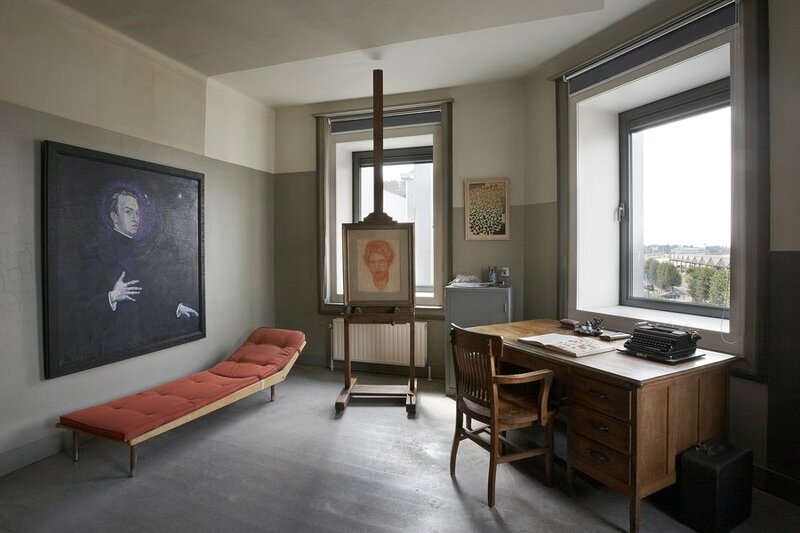 He gave each room its own colour combination and atmosphere, including his studio with its view of the Scheldt. 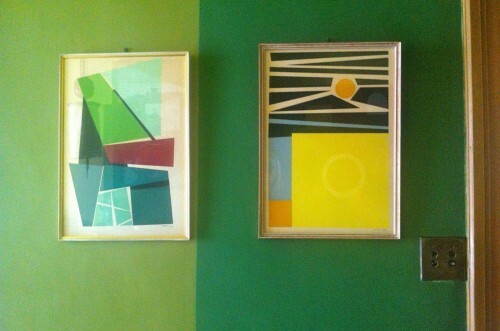 The coloured planes run across the walls and ceiling of the flat in an entirely individual manner. Several original works of art by Peeters and his contemporaries also hang on the walls. In addition, he designed the furniture and the ceiling lamps himself. And also his children's toys and the wheelchair his wife used – she was diagnosed with multiple sclerosis in 1933. 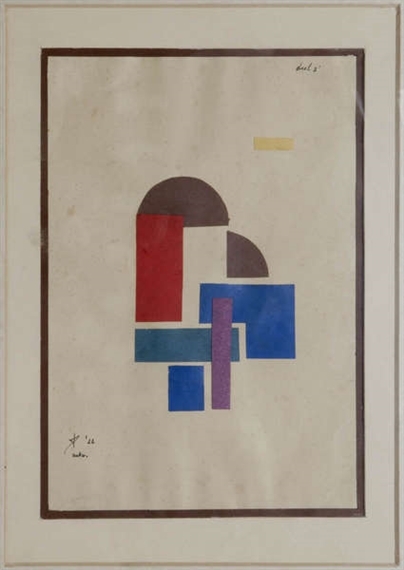 This made Peeters' flat a manifesto of his modernist view that architecture and the visual arts merged completely into one another. When Peeters died, his daughter Godelieve moved back into her parents' home, where she made no changes to what her father had left behind. 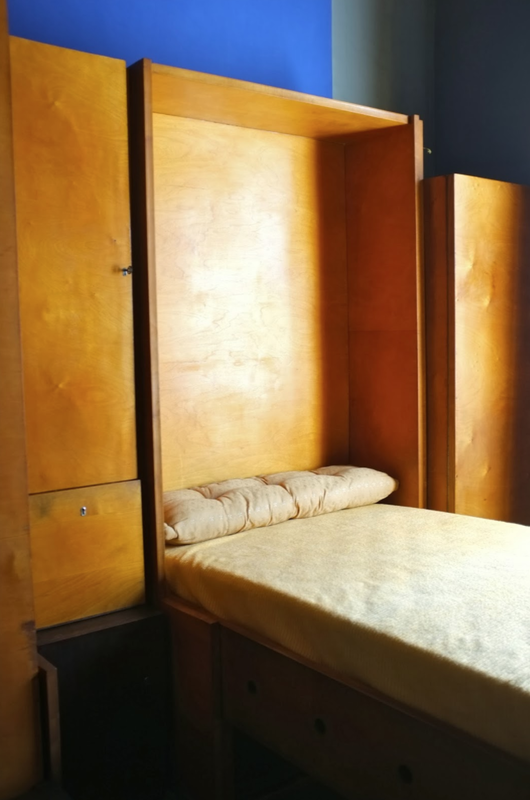 When she died in 2009 she donated the flat, complete with artworks, furniture, objects and the artist’s personal archives, to Antwerp city council. On condition that the ‘art-minded public’ should be able to visit it at set times.